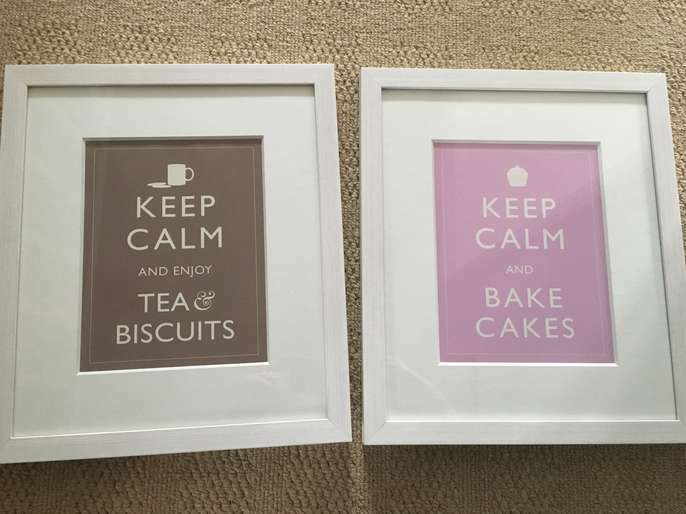 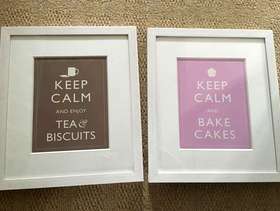 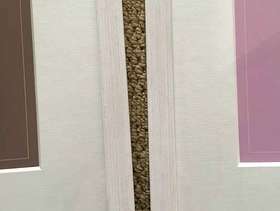 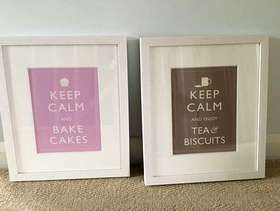 Two pictures One pink, one brown, with ‘keep calm’ slogans. 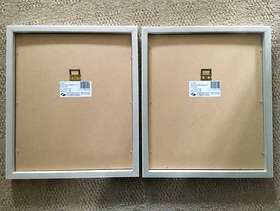 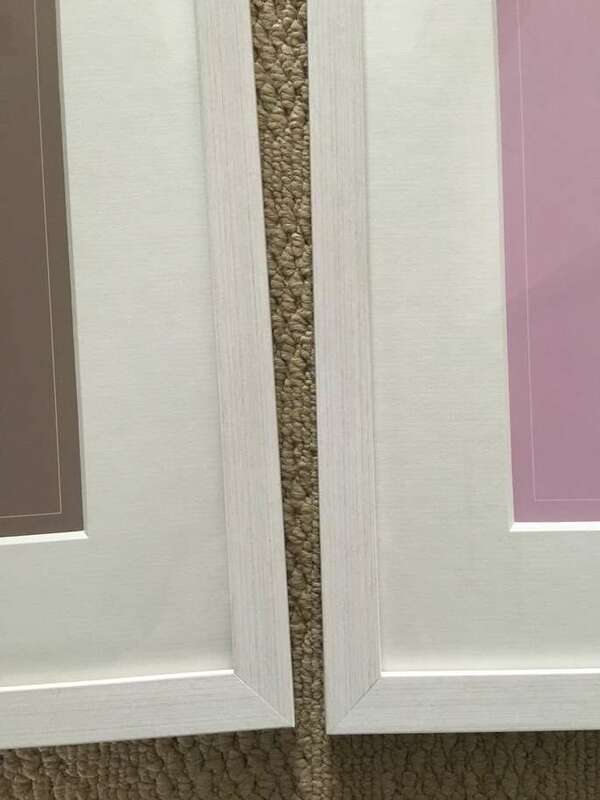 Excellent condition, whitewashed wood effect frames. 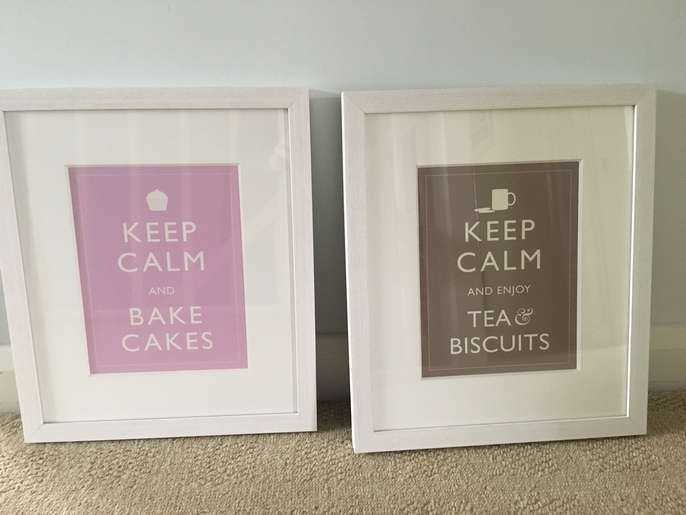 Originally bought from Antique Rose, Wokingham.